Get married under the stars, overlooking a stunning vista, or in a rustic barn. 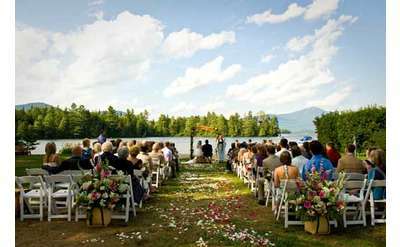 If you’re looking for a unique Adirondack wedding venue in or near Lake Placid NY, these romantic options offer a wide variety of ways to make your wedding truly memorable. Plan your vows ceremony, wedding reception, rehearsal dinner, or even a wedding breakfast. Take a look at the following wedding venues and plan a unique wedding that’s truly a reflection of you and your spouse-to-be. 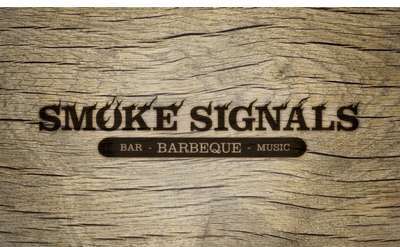 Smoke Signals offers two distinct private spaces, each with its own unique character, as well as a gorgeous outdoor ceremony site right on Mirror Lake. 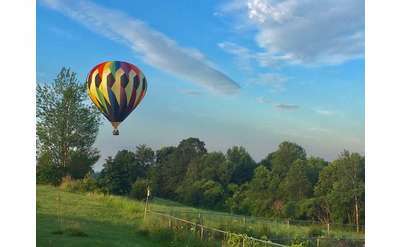 Hot air balloon rides in the Adirondacks, Lake George, and Saratoga Springs region of Upstate NY! Your wedding will be talked about for years! Get easy access to a special location a world away at the Lodge at Echo Lake. Situated in the Adirondacks just 10 minutes from Lake George, this breathtaking setting offers plenty of options for indoor and outdoor venues for a memorable celebration.